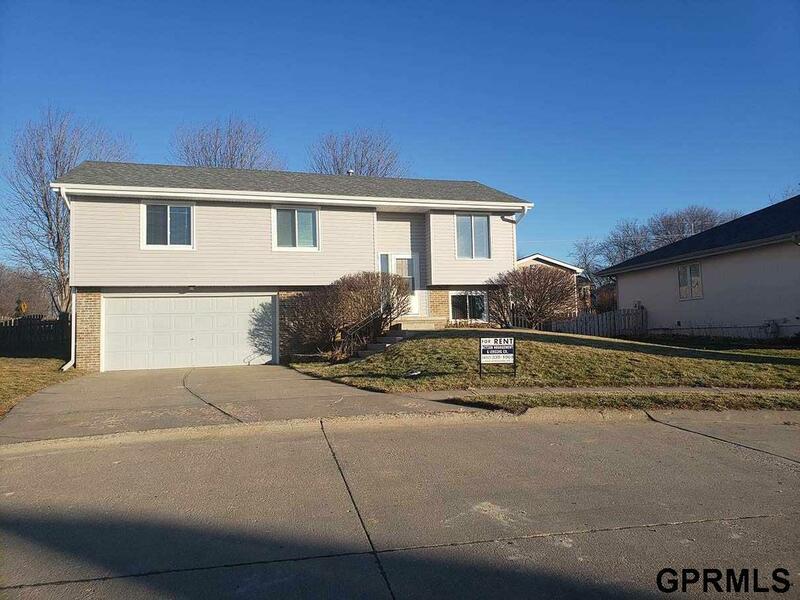 Remodeled Split Entry 3 bed, 2 bath, 2 car located in Gretna NE. Close to elementary and high school. Remodeled house with new flooring & new carpet upstairs, new paint, new appliances and some new windows. Main level has living room, dining room, kitchen, laundry room, full bath and a master 3/4 bath. Finished basement with rec room. Large fenced in back yard with 2-tiered deck. Owner prefers no pets. Deposit is the same as one months rent. Available December 26th 2018. Listing provided courtesy of Action Management & Leasing Co.